This baby box turtle is who I garden for. I refuse to poison the insects munching on my beloved plants, because if I'm patient enough to deal with the damage, those lacewings, lubbers and katydids provide food for Sheldon the box turtle, the multitudes of treefrogs, and every single one of my garden's inhabitants. I'm a "green" and "organic" gardener, but not for the reasons you'd expect. I have nothing against chemicals, I'm not keeping track of my "footprint", and I refuse to pay three times as much for a product that's "sustainable" or "organic". I'm not a liberal, (actually more of a moderate) I don't think Osmocote is evil, and I refuse to get bent out of shape about global warming until I'm finished making my own neighborhood greener. I'm an environmentalist, but I choose to start small and work my way up. I refuse to tell someone else how to live their life. That being said, I'm focusing on making my garden greener before I spout dogma about rising sea levels. Being "green" actually makes a lot of sense, and anyone can do it without buying expensive products or knowing what the hell a carbon footprint is. My garden is a wildlife sanctuary. I've never used pesticides in the garden, have only squashed a couple grasshoppers, and pack the plants in so tightly that the few weeds that do pop up are simply hand-pulled. In addition to numerous treefrogs, lizards, birds, and a snake or two, the latest visitor to my little ecosystem was this little baby box turtle! Some of you might remember this little fella being posted on my Facebook page last week, so for you this is an encore presentation. For those of you new to the story, I found "Sheldon" by nearly stepping on his tiny shell! He was parked right in my path, in the middle of the sunny lawn, simply enjoying the sun and hanging out. 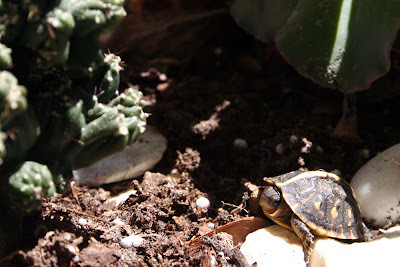 When I picked him up, little feet went flying everywhere in an attempt to run away from the crazy gardener, who was shouting at his mom "I found a turtle! 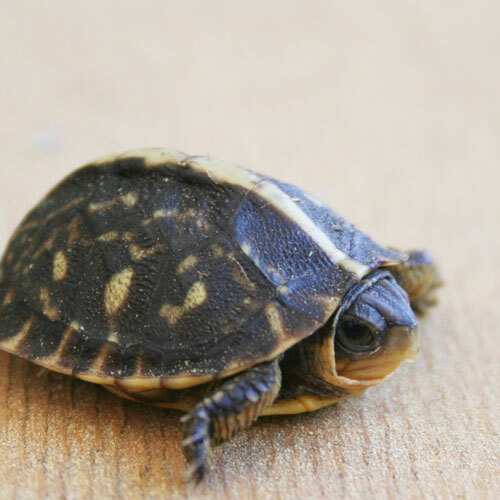 I found a turtle!"... the crazy gardener was me, by the way. I felt like a mother who has waited months for the arrival of an infant. Okay, before you moms get mad, I know I have no idea what that feels like thankfully, but seeing this tiny creature in the cupped palm of my hand was like a gift. You know, I don't get the big deal about gardening "green". To me, it's just common sense. My garden should sustain wildlife. Nature does just fine without any poison in the mix, and if a ravenous plague of katydids or lubbers comes my way, then that's just nature. I get over the pockmarked ginger leaves and filigreed elephant ears, and wait a week or two until new leaves push out, taking the place of those that were devoured. I don't use synthetic fertilizer either, but not for the ideological reasons that some gardeners fervently preach. I simply want to improve my soil for the long haul, and by composting my clippings and using organic fertilizer, the organic matter improves my soil with each branch or pulled weed. Why would I want to throw free fertilizer on the street? In especially rainy summers, we'll have so many baby treefrogs that it's hard to walk without stepping on some. Every ginger or Alocasia leaf will have it's own tiny green inhabitant, peeking out from the rain filled leaf axil, and bromeliads house entire condominiums filled with frogs, ready to gobble up all of those insects that I patiently let live another day. Competition is fierce for an infant treefrog, so the more insects that reside in my garden, all the better for my froggy friends. A greater variety of plants in the garden makes for even more froggy hiding places. 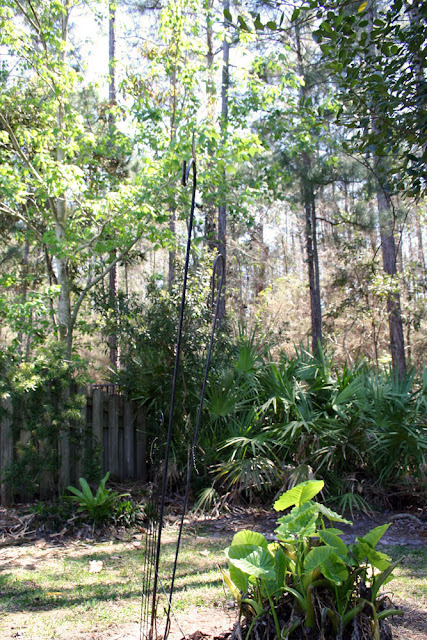 Those frogs also contribute to the dinner plate of the lizards, snakes, and birds of the garden, so by keeping those insects around and feeding the treefrogs, I've also made my garden much more appealing for black racer snakes, red tailed hawks and blue tailed skinks. By putting up with a few weeks of ragged leaves, I'm rewarded with an ever increasing array of wildlife right outside the back door. I used to drive out to state parks in search of wildlife. Now I can just look out the window whenever I visit the garden! 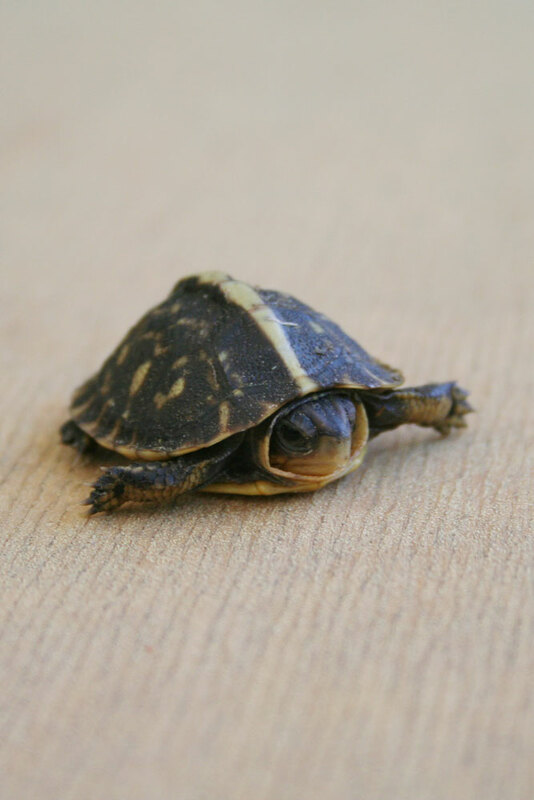 All in all, I want to make the world a better place one turtle at a time. Head on over to Jan Huston Doble's blog Thanks for Today for her Gardeners' Sustainable Living Project and win some prizes! I completely agree. While I don't have the wildlife you have (at least not yet), I do have a few fence lizards and a couple of praying mantis that like to hang out in my garden. Mostly, though, I garden organically because I try my best to study systems of life and how the whole is stronger than its parts. You don't get systems of life by killing half of them. I don't use synthetic fertilizers because I see them sort of like meth for plants. Sure they grow faster, but at what cost to their long term health and the long term health of the soil? By keeping everything natural, I learn more about the natural system, keep the whole healthier, and guarantee the health of my living soil for the long term. Love your approach here. Well said. So what did you do with Sheldon? Very, very good points, including how you think for yourself outside the left-right political cage / trap. But especially since this is a garden blog, how you noted this being a common-sense issue to be "green"...everyone wins! Very well said and I do agree although I have been known to squish a few grasshoppers who are eying my lettuce! Steve why dont you enter this post into Jan's Thanks for today "Gardeners sustainable living project". 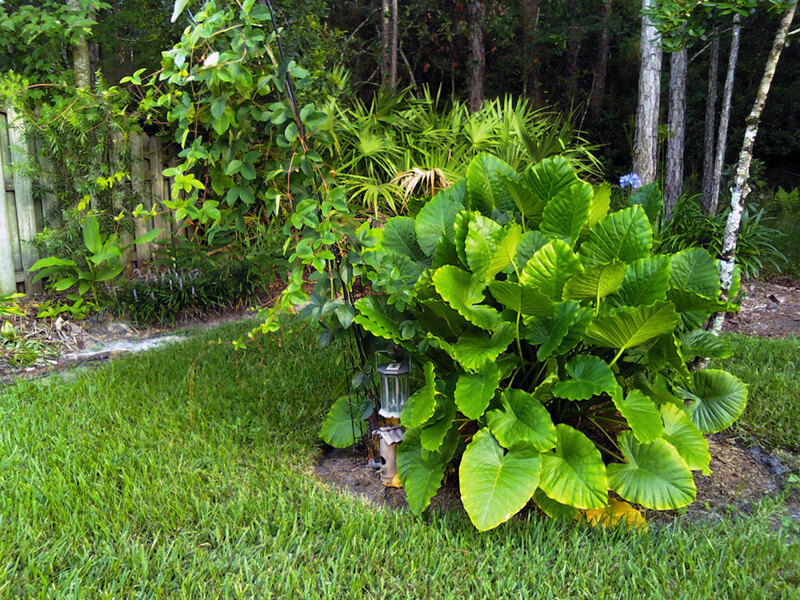 http://thanksfor2day.blogspot.com/2011/03/gardeners-sustainable-living-2011-win. There are great prizes for you guys living in the US, and if we all share our ideas we just get more knowledgeable. Great post Steve! I think all the discussion of global warming has let the portion of the population that isn't convinced to ignore environmental issues in general. You've done a great job of pointing out why we should all care about the world around us, regardless of political POV. Very good points Steve. You don't have to buy into the whole 'green and organic' thing. It's about adopting what is appropriate for you and your garden, and being sensible (and realistic) with it all. I agree with you wholeheartedly. Being green should be common sense. It is how many of us lived not too long ago. And it does not have to be about inflexibility or fanaticism. It should be an intention and a clear goal but done with patience, persistence, and tolerance. I do not see the point in proselytizing. I think it is important for people to make their own choices because then they will fully commit to them. Great post! This is a good post. I use my own "fertilizer mix" with most of my plants but I do admit to using slow release fertilizer on those which are not native. Creatures are generally welcome because they fascinate both me and my kids. We harvest rain water as much as we can. It's not a conscious effort as you said. It is just more practical and instinctively better overall. I know! I can't think of anything cuter. You bring up a really good point: You do learn a lot more about nature when all of the players are present, not just the cute ones. That partisan nonsense really is a trap, especially when it comes to matters of the environment. I really think that many conservative's views of environment issues stem from their disdain of the stereotypical hippie in a Prius. I actually thought to do this post BECAUSE of Jan's meme but forgot about it after finishing the post! Thanks for reminding me! You're absolutely right. It isn't "all or nothing", and everybody can make their own baby steps to contribute to their immediate environment. The issue of the environment is so much bigger than politics. Even the most radical conservative would see the benefit of organic gardening, provided she has a high school education of ecology. You can make wise choices in your garden even if you, say... approve of drilling for oil in Alaska for example. It's a personal choice. Exactly! I'd rather fix my own backyard before I tell anyone else what to do with theirs... I'm only here to show how well organic gardening works for me. If somebody wants to do the same, then great! I love Sheldon! I found him in the garden today too. Way to go! I met a Cambodian woman who gardens organically and collects rainwater not because it's a strongly held belief, but because it works. She was a farmer her whole life, so I would imagine she knows a thing or two about how gardening works! Great post Steve! I would like to see some shots of your frogs also. I know a bit about box turtles. I owned one for many years and my sister owned about 16 or so at one time. She was someone that would be called when a turtle needed to be rescued. She had many babies turtles. This one is a very young one as you know and vunerable. Sheldon probably has some brothers and sisters unless something happened to them. I would look around some more. The Mommy's lay the eggs in the ground and they dig there way out in the spring. Sheldon will like to eat chopped up worms and snails. Unless he or you can find really small ones. Super photos! Hi Steve, Sheldon is adorable...I'm so glad he loves his home that you've provided for him, and all the other wildlife, as well. I actually hate the word 'sustainable', because it's so 'off-putting'. It sounds like we need to be 'doing something difficult'...but really, it's just letting nature BE and not pouring money or chemicals all over our land. Quite simple, really! I don't use chemicals either and I welcome all wildlife to my garden. I get turtles now and then too. I guess that's a sign of a healthy garden! I do have to spray deer repellent now and then to keep them from eating everything in sight, but it's organic so I don't worry about hurting anything. In the summer I welcome caterpillars eating my plants because I know they will soon morph into butterflies and I love to watch them in the garden. Being green doesn't mean we have to 'go off the deep end', and that's what I want people to think about. I don't even call myself 'green' and I'm far from being an activitist or anything like that. I think many gardeners don't like to be associated with being 'green' because they think it's a politically radical move on their part. It need not be anything but living in harmony with nature. Which you've demonstrated so well;-) Thanks for joining my project! Love how you've explained your stand point - very true! I love my wildlife and would do anything (okay, nearly anything) to protect them.